It seems that people are willing to go to any length nowadays to look younger and like their favourite celebrities. With more people than ever heading under the knife, we have seeked out the latest alternatives to plastic surgery. 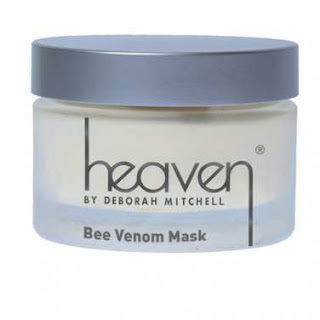 … we have an all-natural alternative to botox with the Bee Venom Mask by Heaven Skincare. The mask contains bee venom and manuka honey which gently firms, smoothes and plumps the skin. At just £55 it is a lot cheaper than a series of botox injections. The mask uses only natural and organic ingredients, which are combined to work in synergy for an instant anti-ageing effect. Manuka Honey in the mask is renowned for its soothing and healing properties, it also contains Bee Venom which works to control the facial muscles for immediate lifting, tightening and firming. Just apply the mask daily and leave on for 20 minutes before washing off to get instant younger and smoother skin to rival Madonna.